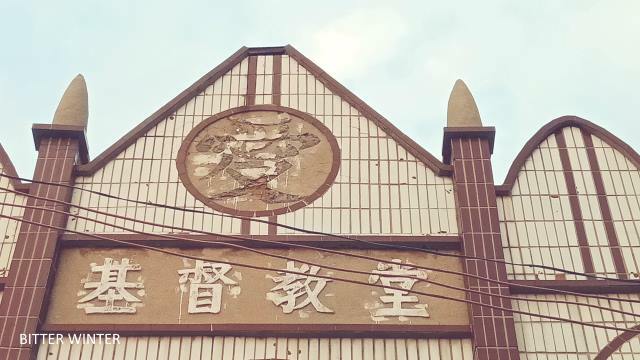 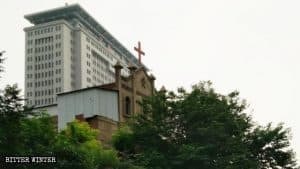 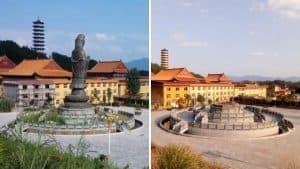 The cross has been removed from the rooftop of the church in Yangzhuang village. 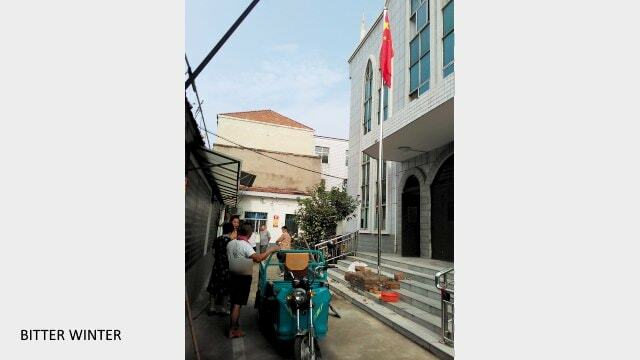 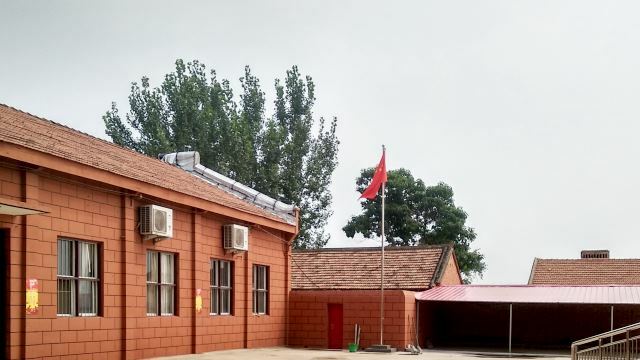 A Chinese flag is erected in the yard of the church in Yangzhuang village. 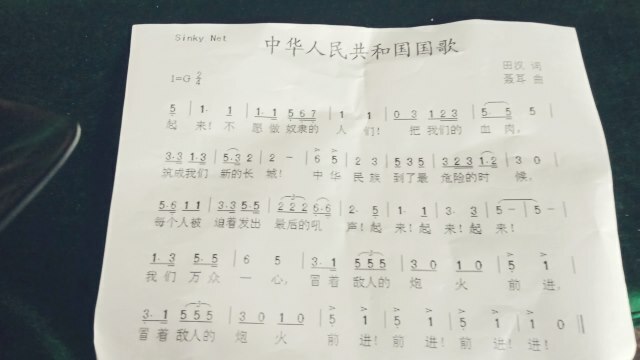 Believers are required to learn to sing the national anthem. 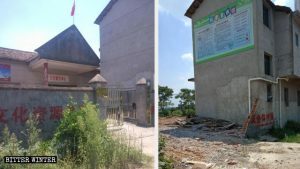 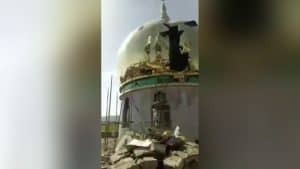 The cross has been removed from the top of the church in the Chencun mining district. 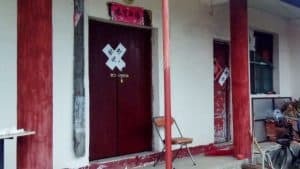 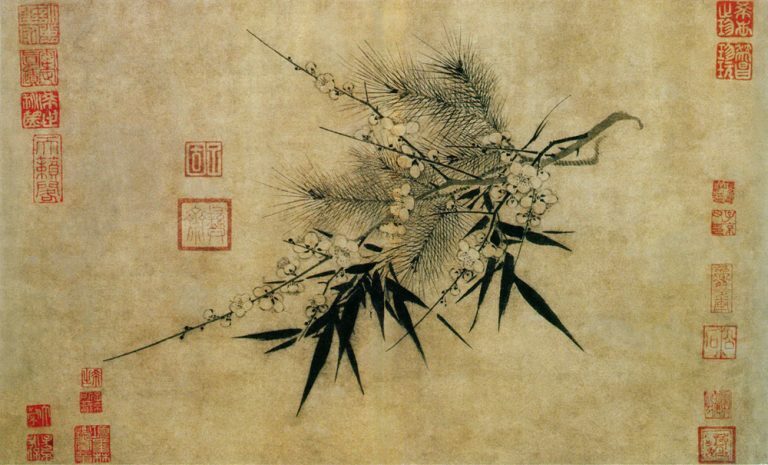 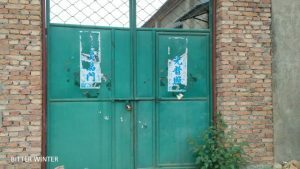 The Chinese character “love” beneath the cross has been removed and destroyed. 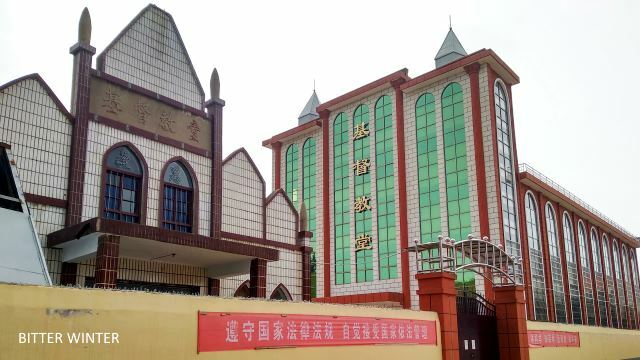 The cross is removed from the church in Yilihe village. 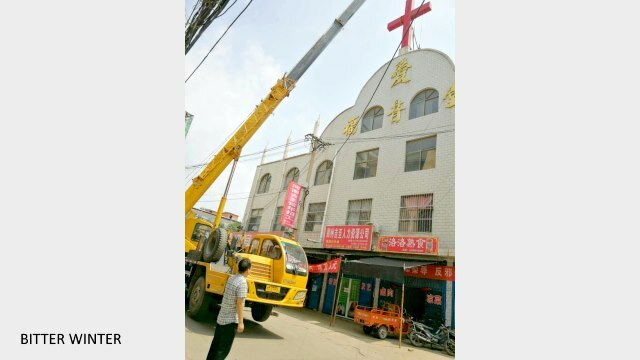 The cross is removed from a church in Xiguan village. 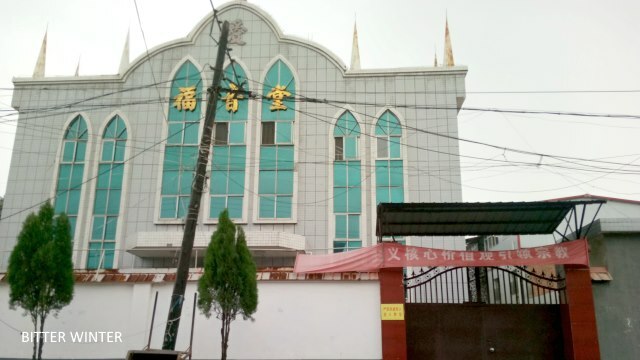 A Chinese flag is erected at a church in Xiguan village.